Obituary for Ransom Lee Moody | Doolittle Funeral Service, Inc. 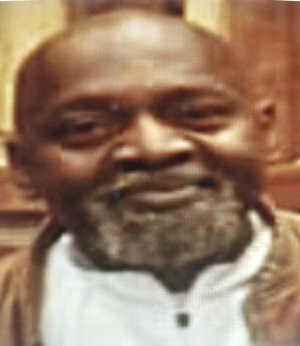 Ransom Lee Moody, 61, of Middletown, passed away on Sunday, April 7, 2019 at Yale-New Haven Hospital. Born in Middletown, he was the son of the late James and Virginia (Randolph) Moody, Jr. Ransom lived in Middletown his whole life and was a member of Peoples Christian Church where Rev. Douglas E. Lawrence was his mentor and Cross Street A.M.E. Zion Church. He loved fishing, cooking and magnets. Most important to Ransom were family gatherings and his Lord. Ransom had a lifetime of struggles and hardships but he managed to turn his life around and live the way he longed for with the help of his loving family and turning to his Lord for the strength he needed. Ransom is survived by his brother, William Moody of Cromwell and three sisters, Lorraine Moody of Middletown, Veronica Davis of Lithonia, Georgia and Wanda Garvin of Bronx, New York and a host of nieces and nephews. Besides his parents, he was predeceased by two brothers, James E. Moody, III, Christopher L. Moody and one sister, Debra Moody Lord. There's still time to send flowers to the Graveside Service at the Indian Hill Cemetery at 11:00 AM on April 23, 2019.